As your big day nears, find out what to expect when you arrive at our facilities in Orange County to deliver your baby. Visit our Thrive Maternity Website to guide you along your pregnancy and delivery! You can also take a tour of your baby’s birth place without leaving the comforts of your home! You’ll see the hospital entryways, family-friendly areas, and even a peek at our modern delivery rooms. Many images are shown in touch-motion panoramic photography. You’ll also find driving directions, phone numbers, and other helpful information to give you more confidence when you arrive. You can also find information about having a baby in this booklet. Kaiser Permanente® Orange County is fully dedicated to helping you have a healthy and memorable delivery. Congratulations! 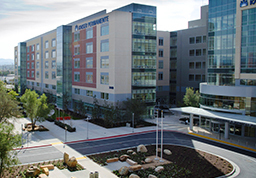 The medical center is easily accessible from the 91 Riverside Freeway between the North Kraemer and North Tustin exits. Exit Tustin Avenue and head north. Make a left on East La Palma Avenue. The medical center will be on the left after Grove Street. The facility is located near the corner of Sand Canyon Avenue and Alton Parkway. Please note: the Irvine Regional Hospital and Medical Center is across the street on the left side of Alton. Take the Sand Canyon Avenue exit toward Shady Canyon Drive. Turn right onto Sand Canyon Avenue. Turn right at the first traffic light, Alton Parkway. Turn right at the first traffic light into Kaiser Permanente’s driveway. Take the Shady Canyon Drive / Sand Canyon Avenue exit. Turn left onto Sand Canyon Avenue. Turn right at the first traffic light, onto Alton Parkway. Turn right at the first traffic light into Kaiser Permanente’s driveway. Merge onto the 405 North. Take the Shady Canyon Drive / Sand Canyon Avenue exit. Turn right onto Sand Canyon Avenue. Turn right at the first traffic light, Alton Parkway. 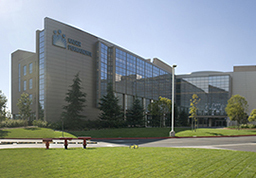 Turn right at the first traffic light into Kaiser Permanente’s driveway. Take the Sand Canyon exit. Turn right onto Sand Canyon Avenue. Turn left onto Alton Parkway. Turn right at the first traffic light into Kaiser Permanente’s driveway. Merge onto the 55 South. Merge onto the 5 South. Take the Sand Canyon exit. Turn right onto Sand Canyon Avenue. Turn left onto Alton Parkway. Turn right at the first traffic light into Kaiser Permanente’s driveway.